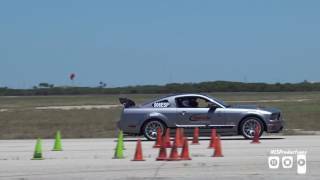 Ford Mustang gets its inspiration for the U.S Apollo spacelift program and decides to unveil the one of its kind Ford Mustang Apollo Edition 2015. To be sold at charity auction for the welfare of EAA youth aviation education programs, this distinct model from house of Ford is expected to raise approximately $ 3 million. 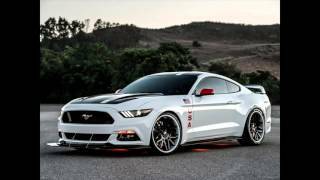 Let us have a look at the review of Ford Mustang Apollo Edition 2015 and get to know more about this new and innovative model. The interior of Ford Mustang Apollo Edition 2015 is as exclusive with as its reason behind creation. The inclusions that make the interior stunning includes new performance gauges that sit behind the classic sporty steering wheel, instrument cluster too gets bit of renovation and gets a more attractive look. Moving ahead Ford Mustang Apollo Edition 2015 interior is bestowed with unique sill plates that commendably add to the gleam of its interior while complimenting this entire set up are the embroidered elements in seats, trim panels and floor mats. In all the entire Ford Mustang Apollo Edition 2015 brings to you one-of its kind experience while rolling this specially designed vehicle. Exterior of Ford Mustang Apollo Edition 2015 come dipped in glossy pure white and pure black non-production paint scheme. This touch makes it looks unique and simultaneously keeps the touch with NASA Apollo program in a creative manner. 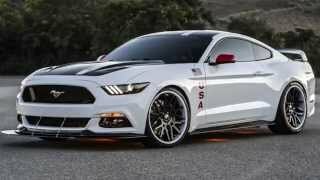 Looking at the body of Ford Mustang Apollo Edition 2015 it won’t be tough for you to notice the carbon fiber front splitter. Traces of same material can also be noticed in making of rear diffuser, rocker moldings and accent treatments getting accompanied by purely and soulfully distinct LED underbody lighting to symbolize atmospheric re-entry. 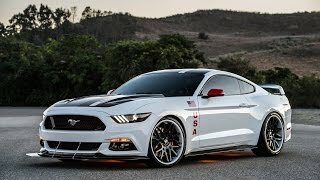 The exterior of Ford Mustang Apollo Edition 2015 further gets touch of sportiness and aggression with its 21 inch custom Forgiato performance wheels that come with six-piston Brembo brakes. Hiding beneath its hood a 5.0 liter engine generating total output of 627 hp and peak torque of 732 nm will be truly enthralling the streets very soon for its prestigious owner.